So amazing how each day of hour-after-hour foot-pounding hiking somehow comes out as different in your journal. You have a special talent for conveying each unique day in words on a page that keep us coming back for more. 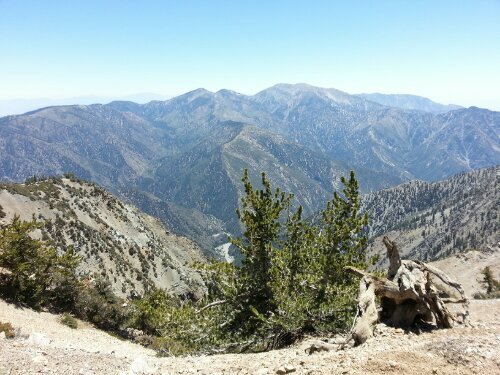 I look forward to each of your journal posting to read a very literary and creative description of life on the PCT. Best wishes to you and your travel companions. From your posts it seems to be a physical experience, not metaphysical. This is reality, trudging reality. Seems like it was a mistake to stop at 15 miles. Hope you don’t run out of food! Don’t go Donner Party on us! 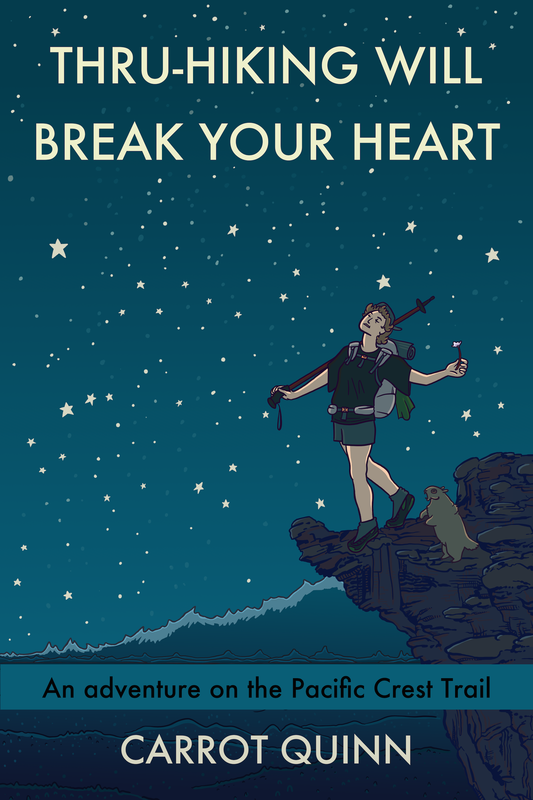 Don’t forget to hike your own hike … go strong when you can =]. I’m hoping you don’t run low on food at the end of this segment. Just out of curiosity … are you bouncing any of your extra food forward so you don’t come up short at the end of your journey? Carrot: “Where’s Chris'” suggestion to bounce extra food forward instead of dumping it in the hiker boxes is so wise and basic it’s been totally ignored until now. I’m glad Chris brought it up so I don’t have to. 🙂 At the beginning of the PCT it’s so easy to think “oh I didn’t need that on the prev. section so I’ll dump it” rather than bouncing it forward “just in case.” But it’s those “just-in-case’rs” that will make the difference down the trail. So sorry to hear you took ill. Wha happened? you were going so strong right up until…until..what happened?? we readers are dying to know and we all support you 100%! One of the main topics that come up when discussing ultralight backpacking is – do the hikers suffer unnecessarily? There is no reason for you to be cold at night. It sounds like your sleeping bag isn’t sufficient for the night temperatures. The secret is to find the middle line between hauling to much and not carrying enough. You need healthy feet, clean water, food and a good nights sleep. Most of all, hike your own hike. 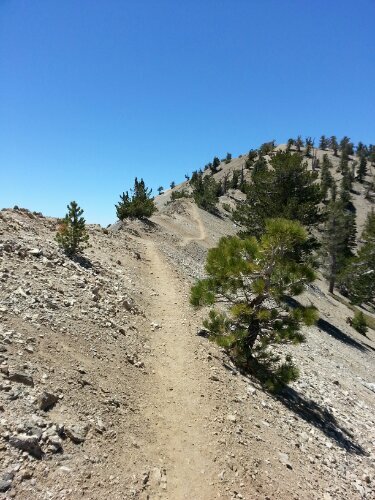 For me this first section of the PCT was the easiest. Good luck. I was cold because I had a fever. I have a zero degree bag. The design look great though! Hope you get the problem solved soon. Working fine in IE, Firefox and Opera in Windows.